My name is Marya. I might be seventy. I was born in Saray Khoja in the countryside. We were four brothers and seven sisters and we lived in poverty. We lived in the country and there was no work. If we had food for breakfast, we had nothing for dinner. No one was educated. There was no money and our life was difficult. I got married when I was thirteen to a man who was eighty. He had white hair and a beard and was very old. Families didn’t let their daughters stay single so they married them off. He didn’t have a house so we lived with his sister. My mother-in-law and sisters-in-law used to hit me all the time. When my children were young my husband was ill. As a result, my older children were illiterate. I used to work as a tailor day and night with no light bulb. When my young children went to school, they didn’t have a bag. Sometimes there was no food and they cried. Sometimes they went to school with bare feet because they didn’t have any shoes. I had a dream to go to school so I could have a better life, but we lived in a rustic area and no one let us study. This was the rule and tradition: girls didn’t go to school. Everybody had negative perceptions. The idea of girls going to school was shameful. No one was modern and there was a lack of wisdom. People would have made up many bad stories about a girl in school. Our families didn’t let girls step out the house. We had to stay home. Now, I have three sons and four daughters. All of my children live with me. I have six grandsons and seven granddaughters. We do not have enough food and we can’t pay the rent and the electricity bills, but we thank God that every child in our home goes to school. By Marya, as told to Mariam Y. A girl of 13 married to a man of 80. The greed, the cruelty of this is just incomprehensible to me. I am just grateful and happy to read that you have so many children and grandchildren–great blessings indeed. It is remarkable that Marya values education when she has so little of the basics necessary to live — money for rent, food and electric bills. She and her sons and daughters are giving a great gift to her grandchildren at what sounds like a great cost. Marya is inspirational. Thank you for sharing your story, Marya. It is women with stories like yours who can help the world see the importance of educating all women. Bless you for your efforts to see your children and grandchildren get the education that you were unable to get. Marya, I am sorry you have had such a hard life. I admire you very much for your positive attitude. It is inspiring that you are able to appreciate and be grateful for your grandchildren’s education. Your children and grandchildren are so lucky to have you. I admire the fact that even though you have had a rough life, all you care about is the education for women and the next generations. I like how you have a big heart and a positive attitude. I love how you care so much for education given the fact that you don’t have the basic needs in life like-Food, clothing etc. I thank you for sharing your story. I’m sure it inspires men, and women especially all around the world. Thank You so much for sharing your story. I am so sorry that you had struggle through pain and poverty. Hopefully when your children grow older, that they will have what you have dreamed of. Like having the right to education, being able to get a job and just having a peaceful life. Im am i teenager the age of 14 and live in New Zealand. If i could do something about under age marriage i would.You are an idolized woman because of your attitude and i hope present changes in life have made the better for your kids and you. I agree with you, women should have an education. Thanks so much for sharing your story with us. you are a very remarkable person. the fact that you tailored day and night for your children shows how much of a great mother you are. Hi, I’m Zureen Hanif. I’m from Auckland, New Zealand and go to Auckland Girls’ Grammar School. 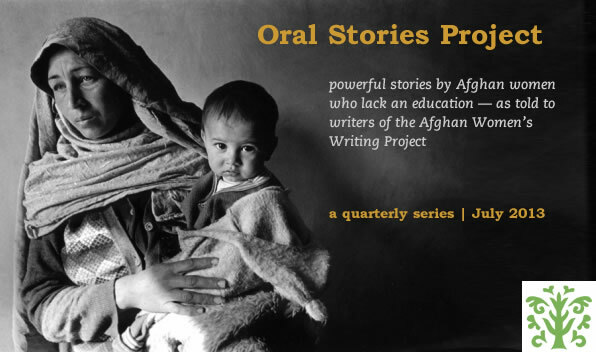 This story is very deep and it’s very interesting as we have just been learning about Afghanistan in our history class. It’s amazing to see how people there are so involved with education and grateful for these opportunities. I agree with everyone that has commmented because everyone on this earth should be able to learn. The generation of children now is our future and if they dont receive an education where will the world end up. Im grateful that I have the oppurtunity to go to school and I am 15, not worrying about getting married off to a person 50 years older then me. Women have the right because some day we will carry the future generation. You Marya are the bravest women ever and I hope that the rest of your life is happy. Thanks for sharing your story. Thank you for sharing your story Marya. We hope for the better for you and your children as they will grow into amazing people. Its amazing how you support your children having an education, especially girls whom are the next generation. We admire how positive you are about the life you’re living. It is sad to see the state of your family and your past but it is remarkable how you raised your children despite the hardships through poverty. Even as a male addressing this situation, I feel that getting married at 13 years old is way too young. To make matters worse she is in a poverty stricken household where she barely has enough for survival. All in all I’m impressed by what she did in order to send her children to school and see them succeed, so that they can have a better life and not face the same hardships.